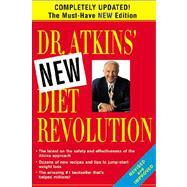 The Atkins diet plan and recipes are the subject of countless books, magazines and millions of pages on the Internet. In fact, the last time I typed in my search for low-carb recipes, the search engine returned over 17 million hits! As if it isn’t frustrating enough trying to lose weight, here I am trying to sort through millions of sites. All I really want is to find out more about the Atkins diet and maybe find a few good recipes. Why does this have to be so complicated? Maybe you’re like me and just want a simple, easy-to-use resource to help you get started with Atkins, collect some recipes, and connect with others who are trying to lose weight with a low carbohydrate diet. That’s why I created this web site. My name is Kevin, and I used to weigh 340 pounds. Now I’ve lost 120 pounds using the Atkins diet, and I know you can do it, too. This site will show you how. 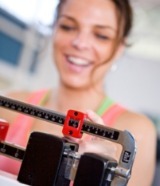 Losing weight and keeping it off doesn't have to be difficult. It's simply a matter of choosing an eating plan that works for you and sticking with it. Think of it more as a healthy way of eating rather than a diet. Because when you classify it as a diet, that's when you have trouble sticking to it. It's really just a state of mind, and you can achieve it if you tell yourself you can. When I was new to the Atkins Diet plan and looking for recipes to put together a menu plan, many of the books and articles I read made it seem so complicated and confusing, but it doesn’t have to be that way. Atkins really is very simple once you understand the basics and know how to select the right low-carb foods in the right quantities for your body. So please take the time and go through as many pages of this site as you have time to. It will really give you a clear understanding of how it all works...getting started, all of the different phases, what you can and can't eat at what times, and how to stick to the Atkins diet plan. Check out our review of the updated Atkins diet app for your phone or mobile device. Once you see how easy it is, and how much weight you are actually losing, it will be easy for you to maintain your healthy eating plan for the rest of your life. It will come naturally to you, and you won't even feel like you are depriving yourself in the least. We hope you learn a lot about the Atkins Diet Plan, and we're here if you have any questions along the way. Good luck to you! You CAN succeed with the Atkins Diet! Check out these articles and see what I mean.